May 11, 2017 Guy Selga Jr. 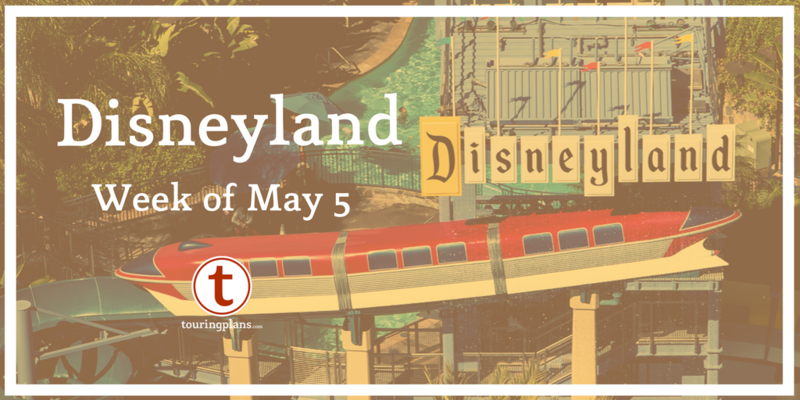 Guy Selga is back this week with more advice for your Disneyland visit. Today he looks at what you can skip if you’ve already been to Walt Disney World. Got more questions for our Disneyland expert? Ask in the comments. We’re always looking for more article ideas. If you’re a regular Walt Disney World visitor that visits Disneyland you will find many exclusive rides to enjoy. Other rides, such as Pirates of the Caribbean, exist in both resorts but Disneyland’s version is arguably better due to it being longer and more richly detailed. On the flip side, some rides in Walt Disney World are better. Many people pick Magic Kingdom’s Haunted Mansion as an example of this. Here are 6 Disneyland rides that Disney World fans can skip, as well as some suggestions from some friends of mine. 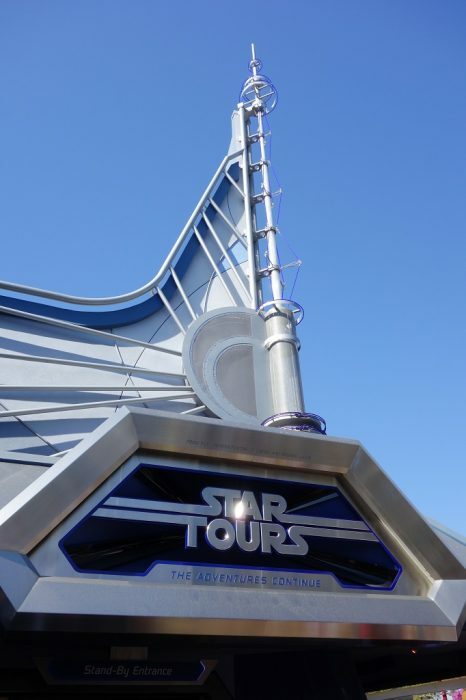 Star Tours fits naturally in to Disneyland’s Tomorrowland, but there’s no differences beyond the exterior to make is stand out over the attraction at Disney’s Hollywood Studios. If you do chose to ride it at Disneyland you may find yourself waiting a bit longer than you would have to at The Studios. At Disneyland there are 4 Starspeeders to accommodate guests, while at DHS there are 6. The two Little Mermaid rides are the same at DCA and Magic Kingdom (except for a cameo by Incredible Mr. Limpet in the Under the Sea scene). Sure, both the queue and exterior are way nicer at Magic Kingdom, but DCA has the benefit of being a walk-on pretty much every day of the year. Soarin’ at Disney California Adventure is located in the beautiful Grizzly Peak Airfield. In Grizzly Peak you’ll find woodsy theming appropriate to a national park in the High Sierras. The interior portion of the Soarin’ queue features pictures and biographies of legendary California aviators, as well as parts from actual aircraft. A difference on the ride itself is the ending where you fly over Disneyland instead of Epcot. These minor changes don’t make it worth going out of your way to see if you’ve already ridden it at Epcot. Disneyland’s Pooh ride is cute, and it’s very little kid friendly. But if you’re a frequent WDW visitor there’s not really any reason to experience it. 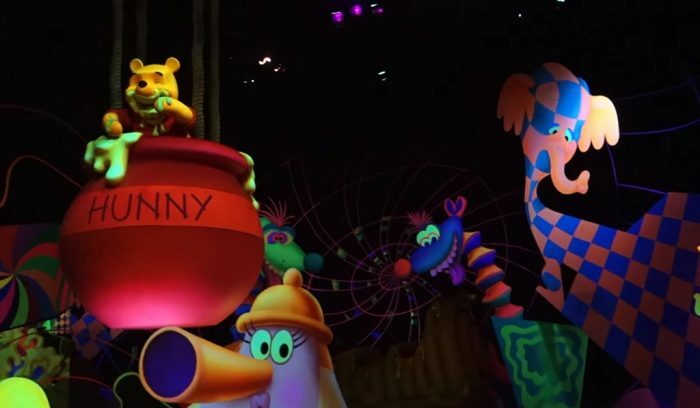 Both versions have minor differences when it comes to scenery but the basic storyline is the same (a blustery day, a party for Pooh, and acid trip heffalump and woozles nightmare, etc). Although I will say this, due to its remote location (it’s tucked away in a remote corner of the park), Disneyland’s Pooh ride sees some of the lowest wait times in Disneyland. That reason alone may be a good reason to give it a try. A Bug’s Life may have an entire land at Disney California Adventure, but for some reason this 3D movie still feels more at home at Animal Kingdom (where it is located inside the Tree of Life). Besides that, it’s the exact same movie, soundtrack, in-theater effects, etc. Toy Story Midway Mania is an obvious choice for WDW fans to skip at DCA. There’s nothing different between the version at Disney’s Hollywood Studios except for the queue. The queue at DHS looks like the inside of Andy’s bedroom, with large toys seen throughout. The ride at DCA is themed after a vintage boardwalk/carnival ride so the line is barebones, mostly consisting of outdoor switchbacks. The DCA version of Toy Story Midway Mania does still have the Mr. Potato Head animatronic. Luckily WDW fans who miss him can see him without waiting in line, he’s visible from the walkway in front of the attraction. Tom Bricker from Disney Tourist Blog has this to say about Autopia. While Autopia is better at Disneyland than Walt Disney World, neither version is particularly noteworthy. The essence of the experience, in both cases, is allowing kids to take the wheel before they are of age to drive. That is unchanged between the two parks. Katelyn Woytych says to skip a ride that may not be the same, but is close enough. I always avoid Goofy’s Sky School. It’s pretty much exactly like Primeval Whirl in Animal Kingdom, which is one of my least favorite attractions at WDW. Astro Orbiter, Mad Tea Party, Toy Story Midway Mania, Dumbo, and any of the movie trailer preview locations. There might be some differences in Launch Bays, but if time was tight, I’d skip that too. Star Tours and Soarin’ would probably be top of my list as well, but I’ve found Pooh to be different enough where many WDW folk are interested in riding it. Keith Gluck from The Disney Project has some good points as well. In addition to Guy’s picks, I have three other recommended rides to skip If you’re a WDW vet. Pick number one is easily the Astro Orbitor. Not only did the “1990s Tomorrowland Massacre” ruin the attraction’s aesthetics, but the entire ride system was removed from atop the (still defunct) Peoplemover loading area and placed on the ground at the entrance to Tomorrowland. If you guys want to experience non-elephant ground-level spinning, you already have The Magic Carpets of Aladdin. That leads perfectly into the second pick, Dumbo. Of course it’s a classic, but contrary to popular belief, it is not an Opening Day attraction, and you guys already have two. Third and last on my short list is Splash Mountain. Unless it happens to be a scorcher in Anaheim that day, our Splash, while being the original, won’t particularly improve upon the version found in Lake Buena Vista. Although it might have you asking, “Where was Br’er Frog?” upon exiting. Disney World fans, what do you skip when you visit Disneyland. Sound off in the comments below. ← Ask It: Land and Sea or Sea and Land? Disneyland’s splash does have an extra scene however. I’m surprised the teacups were left off this list. I was surprised as well. I think both MK and DL’s Splash Mountains are different enough for everyone to enjoy. Guy, This is very timely. Going to DLR next week after several decades since previous visit. Thanks for the suggestions. Great! Have a great trip. Great list! I disagree with Bricker on Autopia. It is a much longer and richer experience at Disneyland in the same way that Pirates is a much longer and richer experience. They’re hardly even comparable between the two parks. Autopia is two previous versions of the ride merged into one huge version. The Speedway is the little that’s left after TDO cut the ride down, and then down some more, and then down some more again. It’s hard to justify it remaining in Magic Kingdom in its current form. It’s more of a carnival attraction, really. I wouldn’t skip Splash at Disneyland, though. I do think it’s a better ride in Orlando, but the Disneyland version has a completely different orchestration of the ride music. It’s worth riding just to hear the ride music interpreted in New Orleans brass-band style (since it sits next to New Orleans Square), as opposed to the banjo orchestration at Magic Kingdom’s. Fun article – I would disagree slightly. I think the Mad Tea Party at Disneyland is totally worth doing (provided your stomach can take it). The outdoor setting and view of both Fantasyland and the Matterhorn make is so much more of an attraction than just a ride (which is what I think of at WDW). I also agree you can skip Soarin’ Over California if you’ve seen the WDW version, but personally I think you should see the Disneyland version and skip the WDW one. I was really disappointed in the WDW set up after seeing Disneyland’s first. I can’t tell you why but I actually really like riding the DL Winnie the Pooh after dark. Maybe it’s just that there is a little outdoor portion and it charms me but I am far more likely to skip Pooh at MK than at DL. Fun article, now let’s see the reverse. What WDW rides can DLRs skip? Many are the same but what is different? Pirates, Big Thunder, Speedway, Space, RR, Jungle Cruise? 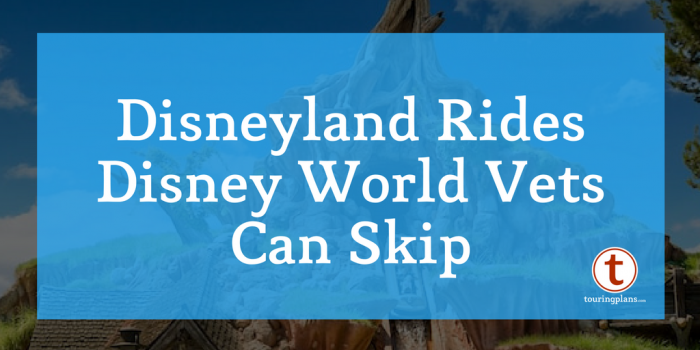 Should some be skipped because of the wait like Soarin’, Pan and Toy Story? I’ve ridden WDW’s Space Mountain many times, and DLR’s only once (and with the Ghost Galaxy overlay) but based on both experiences I would say that if a DLR regular goes to WDW and rides the Magic Kingdom’s Space Mountain, your reactions may very well include (a) a headache, (b) neck pains, (c) that feeling you get in the pit of your stomach when you realize you’ve wasted valuable time on something that wasn’t nearly as good as you were expecting. The severity of reaction (c) will be proportional to the amount of time you waited, and will be doubled if you used a FASTPASS reservation for it. I say this as someone who first rode and loved Space Mountain at WDW (back when it was rather new, in fact), and have ridden it a good many times since. It just seems to be a rougher, jerkier ride in recent years – but when I rode it the one time at DLR, it was stunning how much smoother it was! Don’t avoid WDW’s Space Mtn because of it being the same as DLR, but rather because it’s different in a way you probably won’t appreciate. Interesting view point. I live in Southern California so DLR is my home resort but I visit WDW at least once a year if not more so I have ridden both Space Mountains many times. I must agree that I am at a point where I no longer ride the WDW version. Not only is it a roughr ride it also causes me motion sickness with the DLR version never does. The main reason the DLR version is so smooth is they just completely rebuilt the ride a couple years ago. My understanding is that it is all new track which makes a huge difference. 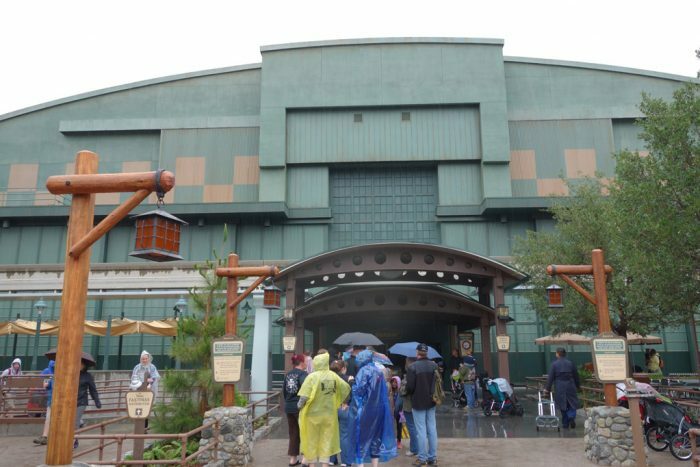 DLR did the same thing to Big Thunder Mointain as well with a similar result. Thank you so much for this article Guy, it was incredibly helpful! I’ll be keeping notes to use for while making our touring plans. (A standard “Disneyland touring plan for WDW vet” may be good to add to the list of optional touring plans as well, just an idea! I like riding Astro Orbitor at night. It can be pretty cool to see the blur of the lights of tomorrowland while having a relaxing ride! Especially if you can time it perfectly for fireworks or nighttime parades. There’s one reason for Disney history geeks to ride Pooh at DL – if you keep your eyes open and look up at the right time, you’ll pass under the buffalo, moose, and bear heads (maybe only two of the three?) that were on the wall from back when this show building held the Country Bear Playhouse. The way things are set up, you won’t see them if you don’t know to look for them. They’re still there. Look up and behind you as you exit the Heffalumps & Woozles room, and you’ll see Max, Buff, & Melvin looking down at you. Sit in the front row of the vehicle if you want the best view. While the submarines are great and unique to Disneyland, WDW vets should know that the Nemo ride you’ve been on a zillion times at Epcot is an abbreviated, dry version of the sub ride. If you’re tight on touring time, consider skipping the subs; they go by all the same animated scenes & screens (with the same music and dialogue), it’s just a much longer experience.